The father of Sherin Mathews, a 3-year-old Indian girl whose body was found near their suburban Dallas home less than a year after she was adopted from an Indian orphanage, was on Saturday indicted for capital murder by a grand jury. Sherin's foster mother, 35-year-old Sini Mathews, was also indicted on a charge of abandoning a child. The punishment for that ranges from two to 20 years in prison with a fine up to $10,000. "We can't go into details, but based on that autopsy report, we were able to determine that we can seek capital murder for this case," Dallas County District Attorney Faith Johnson said at a news conference announcing the indictment. Dallas County court records show Sherin's adoptive father, 37-year-old Wesley Mathews, also faces charges of abandoning a child and tampering with evidence. The fate of the couple's 4-year-old biological daughter is still being decided with another child protective services hearing scheduled for the end of this month. They can either forfeit their parental rights, or the court will decide to schedule a civil trial to possibly terminate their rights. Sherin, reported missing on October 7, was found dead in a culvert about 1 km from her home on October 22 by a cadaver dog during a massive search for the missing toddler. Wesley had initially told police that Sherin disappeared overnight after he ordered her to stand outside at about 3 am for not drinking her milk. When he returned, Wesley said she had disappeared and that her location was unknown. In a press conference, Dallas County District Attorney (DA) Faith Johnson thanked Richardson Police Department for its work on the Sherin Mathews case. She also hailed India's Consul-General in Houston Anupam Ray for his assistance in the case. "...I also want to thank the Consul General of India, Anupam Ray, for his assistance as we move forward. Sadly, Sherin appears to be one of the many abused and neglected children in Texas. We are committed to continue our diligent and steadfast efforts to seek justice on their behalf," Johnson said. The DA said it's now up to law enforcement to find justice for Sherin. Both Consul General Anupam Ray and and deputy Consul Surendra Adhana were personally present at Dallas County courts when the indictments were announced by District Attorney Johnson. Trial dates will be decided by a Judge. Ray, who has been in touch constantly with Johnson and her team of Prosecutors -- Michael Snipes and Erin Price - about this case, exuded confidence that justice would be delivered. "Wesley and Sini will face trial. The prosecutors have and will pursue this case zealously so that justice is done. India has not forgotten this little child. May she rest in peace," Ray told PTI. The Medical Examiner's office ruled last week the toddler died of 'homicidal violence'. Prosecutors are not revealing what else they may know about how the little girl was killed. "The evidence is still unfolding in this case. We don't want anything to jeopardise this case. We think that we have a great case, we plan to pursue this case vigorously, and we don't want anything to hamper it in any kind of way," Johnson said. 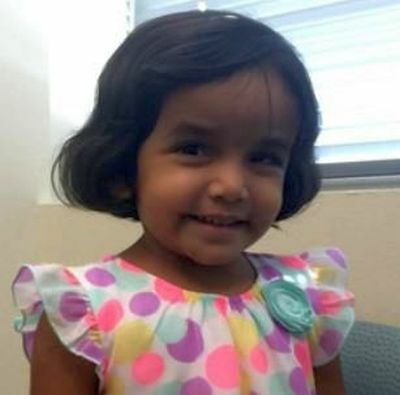 In a statement, Mitchell Nolte and Gregg Gibbs, attorneys for Sini Mathews, said, the indictments on Saturday confirmed that Sini had 'nothing to do' with the tragic death of Sherin. Wesley was arrested and charged with felony injury to a child, which carries a sentence of up to life in prison. He is still in the Dallas County jail on a $1 million bond. His wife Sini, is also in jail, held on a $1,00,000 bond for child endangerment/abandoning for allegedly leaving Sherin home alone while she, her husband, and their other daughter went to dinner on October 6, the night before Wesley reported Sherin missing. An encounter with a lioness!